Dr. Aakanksha Rana, V-SENSE Postdoctoral Research Fellow. High Dynamic Range Image Analysis. High Dynamic Range (HDR) imaging enables to capture a wider dynamic range and color gamut, thus enabling us to draw on subtle, yet discriminating details present both in the extremely dark and bright areas of a scene. Such property is of potential interest for computer vision algorithms where performance degrades substantially when the scenes are captured using traditional low dynamic range (LDR) imagery. While such algorithms have been exhaustively designed using traditional LDR images, little work has been done so far in context of HDR content. In this talk, I will present the quantitative and qualitative analysis of HDR imagery for such task-specific algorithms. The seminar will begin by identifying the most natural and important questions of using HDR content for low-level feature extraction task, which is of fundamental importance for many high-level applications such as stereo vision, localization, matching and retrieval. By conducting a performance evaluation study, how different HDR-based modalities enhance algorithms performance with respect to LDR on a proposed dataset will be shown. Then, three learning based methodologies aimed at optimal mapping of HDR content to enhance the efficiency of local features extraction at each stage namely, detection, description and final matching will be introduced. By spatial adaptation of a given filter using a regression-based approach, three models are learnt to adaptively map the HDR content by bringing invariance to luminance transformations at all the aforementioned stages. (end-to-end) are proposed to produce realistic and artifact-free high resolution images. While the hand crafted classical TMOs are designed to work for specific scenarios, our model generalizes well over a larger range of HDR `contents’ by modelling the underlying distribution of all available tone mapping outputs. 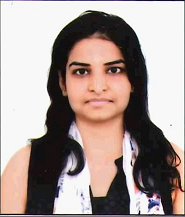 Aakanksha Rana received M.Engg. in multimedia technologies and Ph.D. in signal and image processing from Telecom ParisTech, France, in 2014 and 2018 respectively. During her masters, she was an intern in the exploratory research group at Technicolor Rennes Research & Innovation Center (2014) and AYIN group, INRIA, Sophia Antipolis (2013). Her Ph.D. mainly focussed on High Dyanmic Range (HDR) image analysis for low-level computer vision and perceptual applications. Her areas of research broadly include computer vision, deep learning, high dynamic range imaging and analysis of satellite imagery. You may contact Aakanksha at ranaa@scss.tcd.ie.